I started a diet a few weeks ago. Not one of those you go on, and then go off of, but a real new lifestyle change. I made it a week, lost 5 lbs and then caught a nasty flu bug. Because I had a fever, I fed it, rested and gained back those 5 lbs as quickly as they fell off. Since I have been feeling better for about a week, I have went back on the diet and lost that 5 again. Hopefully next week I will have continued success. For the main part of my diet change, I am just trying to manage portion control, and cravings when we eat at home and when we go out to eat. And I am also trying to add in 1 hour of physical activity a day. We eat out once or twice a week, and I always seem to overeat when we do. To help me manage, I found a new app for my iphone called Good Food. It lets you compare foods at almost every restaurant, even small chains that are local. And then for the few private restaurants that we go to (unfortunately they’re aren’t that many in Orlando) I ask the server what’s low calorie on the menu. 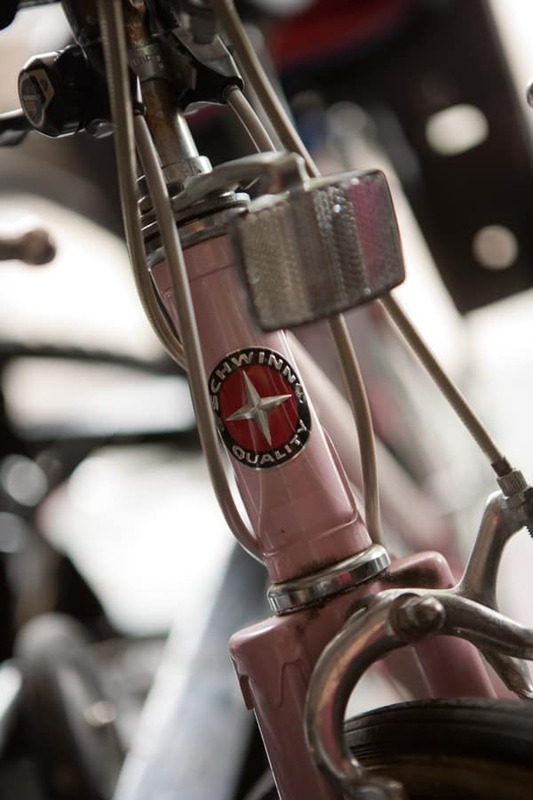 And then beside the old rusty bike with the toddler seat I spotted this, an old pink Schwinn. The little 80’s girl trapped inside started jumping for joy, especially when I noticed the white walls. So I just couldn’t pass it up; it was a steal, and we got the guy to throw in another street bike for my husband for almost nothing because it had no brakes. But not to worry, my MacGyver husband had the brakes fixed within 5 minutes after he got it home. We both love the street bikes so much more than our old heavy mountain bikes. And now for some mac n’cheese. This is a recipe that I adapted from Rachel Ray. It’s really easy and makes a great vegetarian dish paired with a simple salad for dinner. Preheat oven to 400 degrees. Dice butternut squash and place on a cooking sheet. Sprinkle with kosher salt and 1 tablespoon olive oil. Roast until tender, 20 - 30 minutes. Times may vary according to the size of your butternut squash chunks. Cook macaroni according to package directions, drain well. Add butternut squash to food processor. Add about 1/2 cup or more of milk and turn on until squash is smooth. Preheat a large skillet. Add 1 tablespoon olive oil and 1 tablespoon butter. Melt butter in oil and add 2 tablespoons flour. Add salt and pepper. Add thyme if using dried. Cook for 2 - 3 minutes, whisking constantly, or until flour mixture smells nutty. Add 2 cups milk and whisk in well. Turn heat to high and bring to a boil while continuing to whisk. After sauce has thickened, turn heat to low and add in butternut squash mixture. Heat through until mixture is bubbly again. Turn heat off and add in cheese. Whisk well until cheese is completely melted. Add macaroni back in and transfer to a casserole dish. If using fresh chopped thyme, add now. Top with bread crumbs. Place macaroni under broiler for a few minutes until bread crumbs are browned. I wonder if my kids would fall for this? Nice deal on the bikes!! Best of luck on your efforts. Not sure if I could police my portions with this. Oh my squee! I want to try this! Love butternut squash, Angie! Congrats on the new wheels and the deal. I need to get a bike too. Love, love, love! I’ve been on a total squash kick and just whipped up a batch of acorn squash lasagna that i’m sharing tomorrow! can’t wait to see it! I have 3 acorn squash on my counter. Congrats on the lifestyle changes! And this butternut version of a classic comfort food? I can’t wait to make and share this with my family. Thank you for this lovely post. It was a nice way to end my day. I hope you are having a wonderful week! Good for you! I have been trying to do the same thing as well as walking everyday! I have never heard of using squash in mac and cheese. I have added things like broccoli, swiss chard or spinach but never thought of adding an orange vegetable. I love mac and cheese and I love squash so will have to try putting them together and see how we like them. I like adding veggies to mac and cheese for extra flavor, color and nutrition without a lot of extra calories. I think it is a great way to make an old favorite a bit healthier. Hi! I don’t know if this is too late for you to respond to, but I was wondering, do you leave the peel/shell on the squash or do you have to peel it? And if so, how do you do that?! Thanks! This sounds really wonderful and I’d love to try it. Thanks so much! I really appreciate your response!! I’ve been wondering how to peel a butternut for a LONG time- so far I’ve just baked it in the shell. HUGE help! 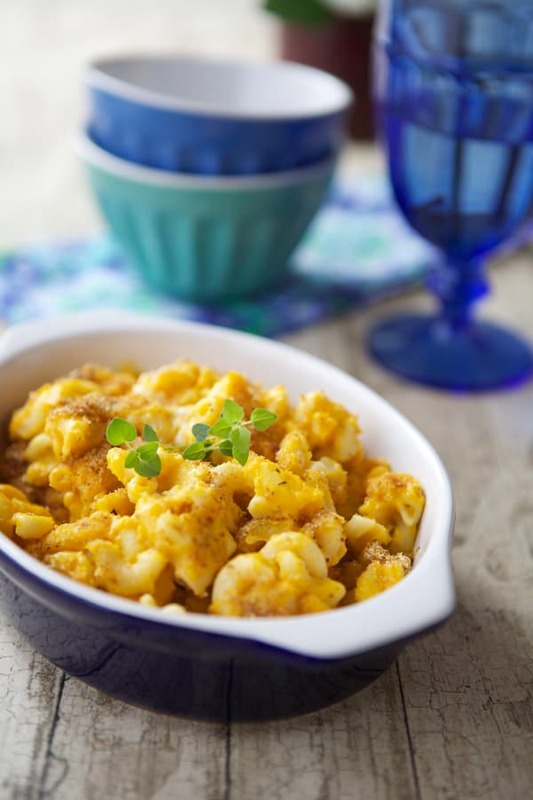 See the lowfatveganchef (dot) com website and recipe search for butternut mac and cheese. It’s my favorite basic recipe (though I have tweaked it a bit now). Your body will get in better balance and health without the oils and animal products. Plus any extra weight you may have will fall off with adopting a low fat, low sodium, vegan cooking style. Check out Dr Joel Fuhrman, Pritikin.com, and Engine2 Diet.com…as well as a HOST of others experts that support this lifestyle. You are definitely on the right track!! !